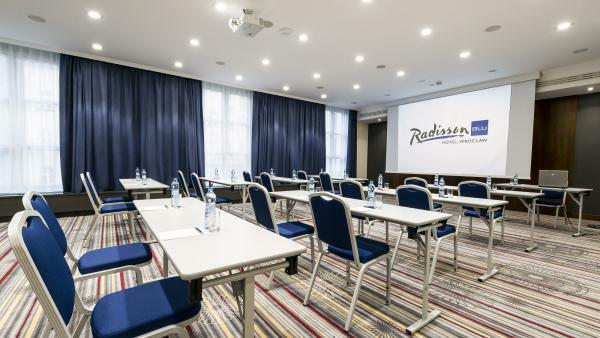 Radisson Blu Hotel Wroclaw is located in the quiet area surrounded by a park, near Dominikanski Square where there is a modern shopping centre with shops and cafes. Dubbed the Venice of the North, Wroclaw is a city of bridges and beautiful greenery. The city is the historic, administrative and business capital of Lower Silesia as well as a lively cultural hotspot. With its numerous theatres, cinemas, opera and Philharmonic Hall, the city plays host to top cultural events such as the International Wratislavia Cantans Festival, the Actor’s Song Review and many more. 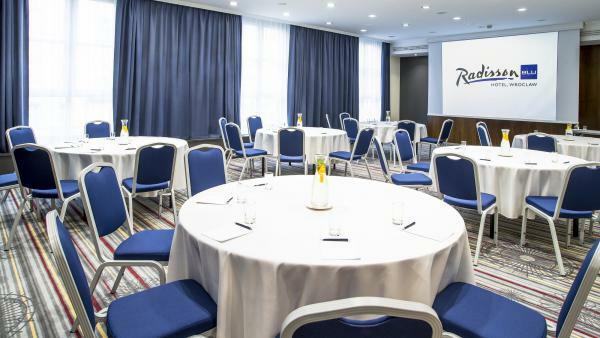 The most important task of hotels belonging to the Radisson Blu Hotels & Resorts chain is to assure its guests the maximum comfort and satisfaction from their stay. 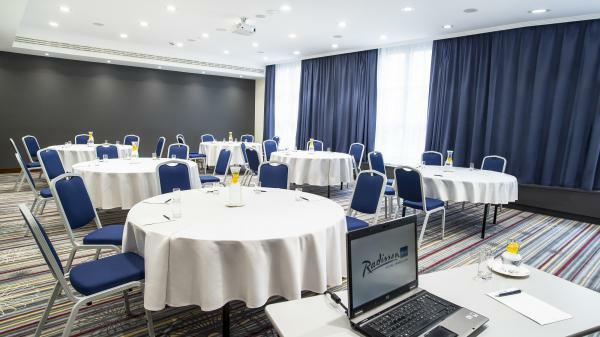 This high priority has also been maintained in the Wrocław Radisson Blu hotel with particular attention. 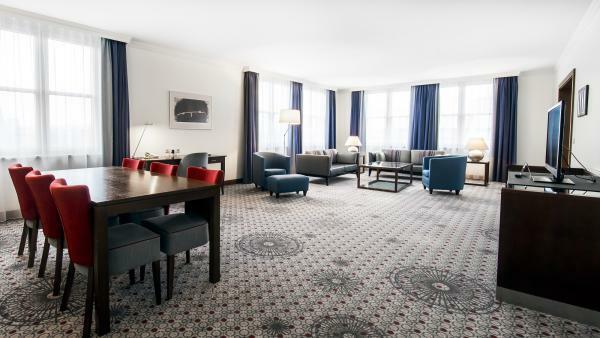 The hotel has 162 beautifully designed rooms including 100 standard rooms, 45 Business Class rooms, 10 Superior rooms, 5 Suites and 2 accessible rooms. Particular attention to the atmosphere of lightness and modernness is noticeable in all the types of rooms. 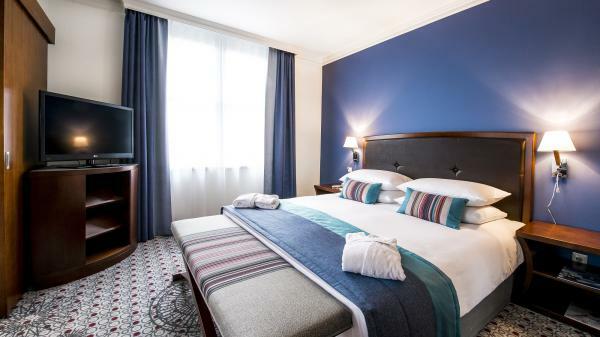 They certainly guarantee carefully selected colours of the walls, curtains, bed linen and event the lamps: grey, silver, beige, brown and black. 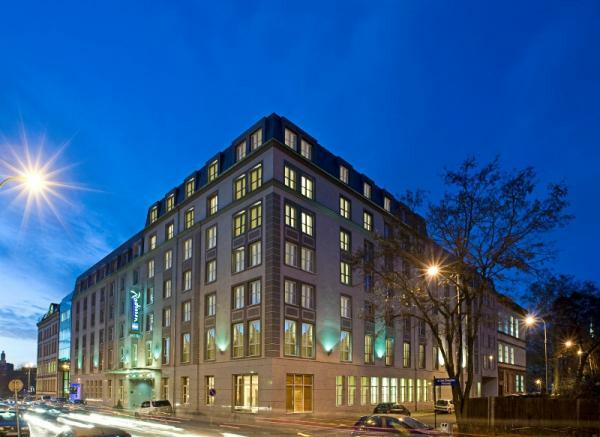 Every room has two separate comfortable beds or one wide bed, as well as an ideal place to work, with a telephone and internet connection. In order to make the guests feel comfortable, a telephone in every room, a mini bar and also a safe have not been forgotten. 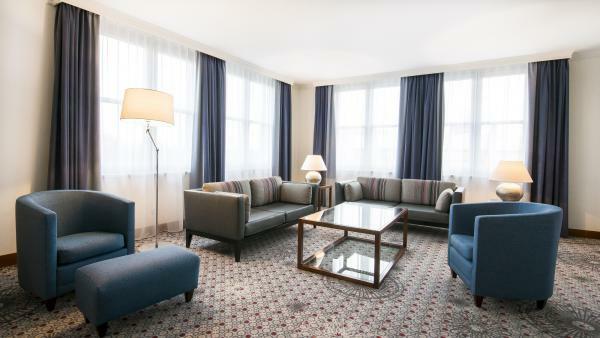 The great advantage of the rooms also includes the adjustable air conditioning and the capability of freely opening the window. Those people who, in particular do not like air conditioning, know this problem well in rooms. The recreation centre entices guests to come and make use of it with an excellently equipped fitness room and Finnish sauna, the entry into which is included in the price of the room. 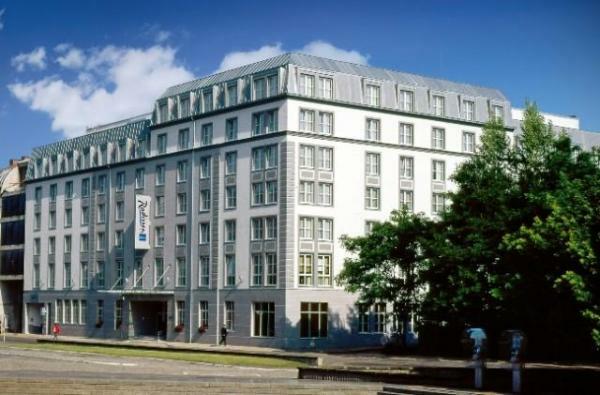 It is sufficient to take the room’s card key in order to use the modern and safe equipment located in the underground part of the hotel at will. "Late check out" and "Express check out". Our Aquarelle restaurant offers both local and international cuisine and serves our special Super Breakfast Buffet, lunch and dinner. During the summer months you can enjoy your meal outside of the restaurant in the stylish courtyard shared with the Academy of Art. Comfortable and inviting, the Sqwiggles lobby bar serves a variety of drinks, snacks and cakes and is a perfect place for business meeting or afternoon tea. Here you can unwind after a long day at work. 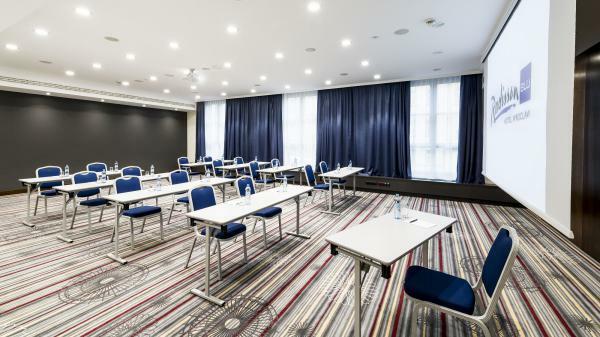 Our conference facilities offer a world of possibilities - from rooms for small business meetings to spacious conference hall for 140 participants. The Key features are: 377 total sq metres. Largest room for up to 140 participants, 9 meeting rooms, Video conferencing, high speed and wireless Internet access, Spacious courtyard able to host open air events up to 500, Experience from hosting a lot of different events annually and an Innovative menu created by experienced chefs customised for every event.